Both non-powered and registered powered crafts are permitted in Presque Isle State Park. Internal combustion engines are prohibited in the interior lagoons, which are defined as the continuous body of water between Misery Bay and Marina Bay, excluding Graveyard Pond. A boat rental concession is located in the Graveyard Pond area and provides a variety of powered and non-powered crafts. Beaching of boats along Presque Isle shoreline is permitted except at the Gull Point Special Management Area between April 1 and November 30 and within 100 feet of swimming areas. A slow minimum height swell speed must be observed within all park waters, which includes all waters within 500 feet of the shoreline. Water conditions can change dramatically in a very short period of time. Please heed all weather notices. Listen to marine channel 16, the Coast Guard Emergency Channel on a VHF radio, or NOAA Weather Radio 162.400 MHZ, for current boating conditions. — The Vista Launch, in Vista Parking Lot 3 near the park’s entrance, is recommended for small watercraft and jet skis. — The Niagara Launch, between the ranger station and Waterworks area, has two ramps and can accommodate small to medium size craft. The launch also offers several picnic areas nearby. — The West Pier Launch area, near the marina, is the largest facility with four launching ramps for larger watercraft. The launch is also near the park’s boat fueling station in the marina. — The Lagoon Launch area, just north of the Perry Monument on Misery Bay, can accommodate small to medium size craft, although the southern launch in this area is intended for small craft only. Presque Isle State Park’s marina, located in Marina Lake on the bay side of the park, has nearly 500 slips. The marina season runs from May 1 through October 31 and boats up to 42 feet in length can dock in the marina. Gasoline and diesel fuel are available, as well as a sewage pump out station. Individuals wishing to moor their craft on a permanent or temporary basis need to contact the marina office or park office to determine slip availability as waiting lists exist for permanent assignments. The marina office can be reached at (814) 833-0176. Water skiing is permitted in Presque Isle Bay and Lake Erie. Water skiing is prohibited within 500 feet of the shore except for the purpose of takeoff or approach. The lagoons at Presque Isle State Park remain undiscovered for many of the park’s 4 million annual visitors. Only kayaks, canoes, rowboats and paddleboats are allowed in lagoons. 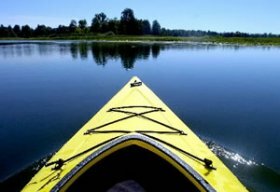 If you want to explore the lagoons by yourself, at your own pace, you can put your own kayak or canoe in the water, or rent rowboats, kayaks or canoes from the Presque Isle Canoe and Boat Livery. The Presque Isle Canoe and Boat Livery, located on Graveyard Pond across from Misery Bay, offers canoes, kayaks, small motorboats and pontoon boats for rent. 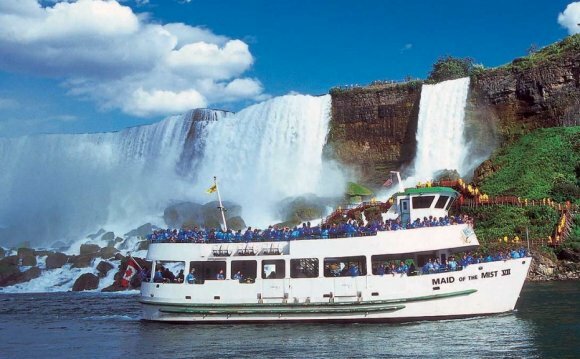 The boat livery is open from 8 a.m. to 8 p.m. from Memorial Day through Labor Day and 10 a.m. to 5 p.m .on weekends during mid-April through mid-October. Refundable deposits required to rent equipment; MasterCard and Visa accepted. For further information call 814-838-3938. Rental pontoon boats and motorboats launch from Misery Bay. Leaves from the Graveyard Pond Pontoon landing at 11 a.m., 1p.m. and 2 p.m., 7 days/week through Labor Day. Sign up sheets are at the pontoon boat dock beginning at 10 a.m. the day of your ride. — May 1 through mid-June: Saturdays and Sundays at 11 a.m., 1 p.m. and 3 p.m.
— Mid-June through Labor Day: Daily at 11 a.m., 1 p.m., 3 p.m., 5 p.m. and sunset. La mejor fiesta barco Ibiza para tus amigos! "LADY KATE" Lake Erie.Presque Isle Boat Tour. Summer-2015.